Office recycling, sustainability and waste collection are at the forefront of most businesses corporate responsibility policies. In the last number of years, there has been a lot of emphasis on being socially conscious and trying to make businesses greener. Recycling brings plenty of benefits to the environment like reducing air pollution, water pollution, energy usage and conserving raw materials. Recycling is one of the easiest and most effective ways to implement some green policy into a workplace. 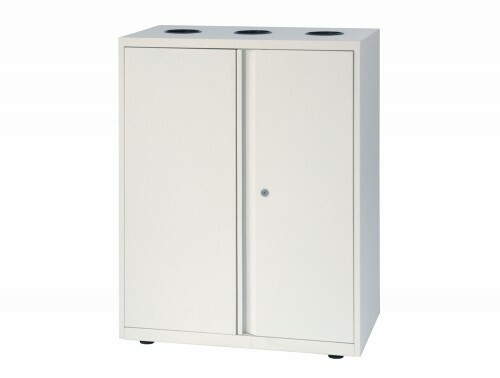 Our range of recycling bin containers are perfect for both home and office use. 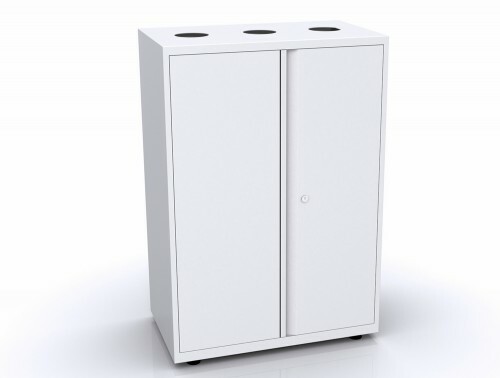 Our range of recycling waste bins are designed to match your office aesthetic with its stylish cabinet design, ideal for offices and homes who wish to keep their recycling unit out of sight. 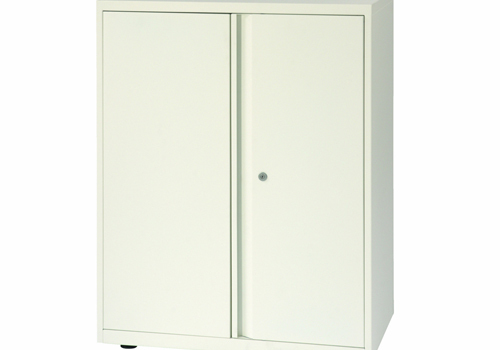 Furthermore, the recycling units offer easy access to the bins inside for ease of emptying when full. 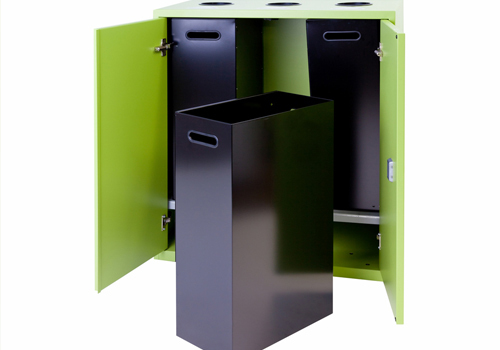 The bins are manufactured from recycled steel ensuring a highly durable mixed recycling bins for your office. 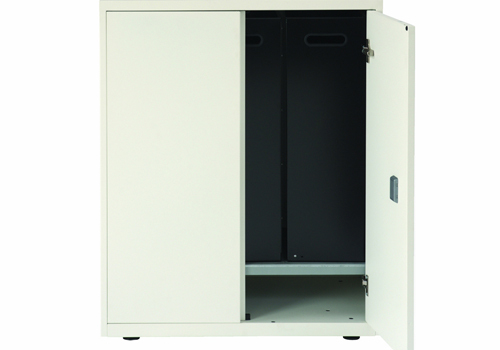 Each waste disposal unit is available in a range of exclusive pallets and are offered in numerous height, width and closure options. 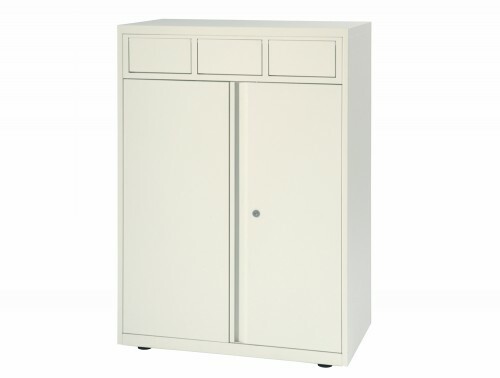 We source our recycling waste containers from some of Europe’s most trusted furniture suppliers, including Bisley. 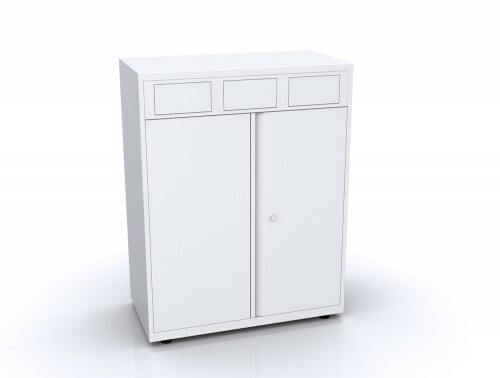 A selection of our office recycling bins come with a warranty, ensuring its quality and functionality is guaranteed during that period of time. Each individual product has also been rigorously tested to make sure it is of the highest standard for use in the home and office. Recycling can have many benefits to your workplace. Firstly, it can help your staff think about something important other than just business. Most people are required to separate their rubbish at home into general waste and recycling bins. However, if there is no recycling scheme in place at work it could lead to people questioning things, like why do they bother recycling at home and more importantly why doesn’t their workplace care about this issue? As well as your staff seeing your company in a different light, recycling in your workplace can add a PR boost for your business. Being viewed as a socially conscious business can help sway potential customers into working with you. Some will want to know that the companies they use are at least somewhat environmentally minded and with recycling bins you can ensure that your commitment to being greener is noticed. ‘Green’ is still a major buzzword in the corporate world and being able to tell clients of your policies will be a major boost to the perception of your business. This can all start with the simple inclusion of a recycling station in your place of work. Our office recycling bins could provide a morale boost for your employees also. Our bins make recycling incredibly easy. The internal bins are tucked away neat and tidy in the recycling unit and it’s easy for people to separate their rubbish. With something like this, having a recycling unit that makes it easy to partake in this act will not only give employees peace of mind when carrying out their recycling duties but they will be made to feel more engaged in their work and in your business when partaking in recycling. Finally, a major reason why your business should partake in recycling is for the good of the planet. This might be a rather broad reason for investing in a new recycling unit at your workplace but at the end of the day, the world contains very important scarce resources. If our environment is destroyed there will be no businesses as there is no planet. Recycling conserves important raw materials, saves energy and help protect nature. Partaking in this small act of altruism is, at the very least, doing a small part to protect the world and ensure that future generations will also be able to do business. If you’d like to find out more about our range of Recycling Waste Bins or discuss your requirements, simply request a callback.